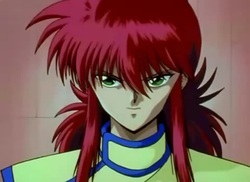 Kurama is known for his knowledge and analytical thought process. Though very rational and collected, he can also be very cutthroat when the situation calls for it (especially in his demon form). Since he was raised as a human, he expresses compassion, a trait he would otherwise lack, which his demon opponents use to manipulate him. Much of his personality (cunning, clever, graceful) is derived from commonly-known traits of a fox, as he himself is a fox apparition.